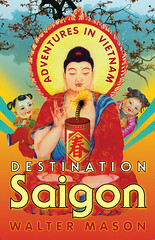 Very excited to see Destination Saigon one of a group selected for Border's 3 for 2 special in March. Destination Saigon was prominently displayed at Borders Chatswood today (top right hand side below). Hope the other Borders have it in equally good possie.